The HTC Puccini leaked enough number of times that we are now well acquainted with it. All that was remaining was for HTC to make it official, which they just have. The device will be launching on the AT&T network in the US on September 4. Let’s go over the spec sheet again. 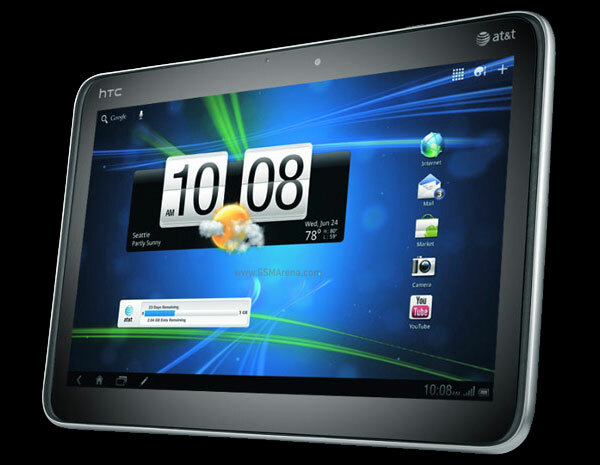 The HTC Pucc… I mean the Jetstream will have a 10.1-inch, 1280 x 800 resolution display and will support for AT&T’s 4G LTE and HSPA+ networks. It will run on a 1.5GHz dual-core Qualcomm MSM8660 Snapdragon processor and Android 3.1 Honeycomb, with the Sense UI layer on top. On the back we have an 8 megapixel camera capable of recording 1080p videos and on the front is a 1.3 megapixel camera. The Jetstream will also work with the Scribe pen that we saw with the HTC Flyer and will be included free of charge for a limited time. There is no mention about the amount of internal memory from AT&T but the Jetstream will have support for microSD cards. Now here comes the shocker. The HTC Jetstream will cost you $699.99, but, on a two year contract. This is the first time we are seeing a tablet being sold for such a high price on a contract. We hope AT&T gets its act together if they ever intend to sell these things. Even a die-hard Android or HTC fan wouldn’t spend that much for a device locked in a two year contract.